Which Price is Right? - American Truck & Rail Audits, Inc. 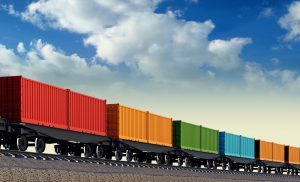 The Official Railway Equipment Register, published quarterly, provides all data from the UMLER system in tariff format as mandated by the government. The two main sections contain the car specifications of railroad owned reporting marks in the front and privately owned reporting marks in the back. The reporting marks should be able to tell you who owns the car and therefore what rate to pay, right? Not necessarily. Fleet management has become more complex over the years due to railroads leasing from private companies and private companies leasing railroad-owned equipment. So when your pricing contains a rail and a private car rate, choosing correctly can get tricky. Owners of equipment should update any lease arrangement through Railinc, which is one way to verify the status of the car and is also what the railroads use to create your invoice. There are also different types of leases which may or may not account for car hire and other factors. Sound complicated? If you lease equipment regularly, you might benefit from having your freight charges verified by an outside source. Let AMTR show you where unnecessary dollars might be slipping out the door.